A funding platform for start-up companies that was founded in India in 2013, has grown to be a major online marketplace. Thanks to its ability to project an online presence around the world, LetsVenture is looking to expand into new territorial markets. From the outset, LetsVenture has aimed to make it easier for investors on the one hand, and founders of start-ups on the other, to discover each other and connect. LetsVenture has also sought to evolve as it operates – via innovation in its services – to keep ahead of the competition in its own field. So said Shanti Mohan, a co-founder at LetsVenture, in an interview with Innovation Hong Kong. Over the last five years, the funding platform has supported close to 170 start-up businesses, having enabled more than 180 funding rounds; about US$80 million was raised via the platform. According to Ms Mohan, the overall portfolio of benefitted start-ups is worth more than US$750 million. “We are not an angel network, we are a marketplace that allows even angel networks to syndicate on the platform,” explained Ms Mohan. “If you are a start-up raising supposedly US$300,000, and an angel network can commit to about US$100,00, the rest of the US$200,000 can get syndicated on the platform,” Ms Mohan added, providing an example of how LetsVenture regards itself as different from other investor networks. As well as positioning itself as a facilitator for angel networks and other investors to participate in start-ups, LetsVenture also aims to offer users of its service “transparency” and to ensure ease of “discoverability” among the parties involved, Ms Mohan stated. This is thanks to what the entrepreneur referred to as an intelligent technology platform that offers personalised search functions for both angel investors and start-up founders, to help them find their desired matches. “If you’re an investor looking into the FinTech [financial technology] space, we will only show you FinTech start-ups,” said Ms Mohan. Equally, “if a founder wants to raise funding, but does not want to show his idea to investors in, for instance, Singapore, but only open up to investors in Hong Kong, he can do that,” via LetsVenture, Ms Mohan added. “Our innovation is in terms of the technology platform, in terms of [providing] data, and how we’re managing our data,” the entrepreneur noted, further observing it involved a “new business model” where all interested parties “can build the ecosystem together”. 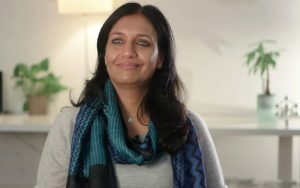 Early stage start-ups are defined as those raising capital of US$200,000 to US$1 million, and are typically funded either by micro funds, angel investors or angel networks, on the basis that they are at that stage typically too small to be of interest to institutional types of investors, according to Ms Mohan. In September 2018, LetsVenture’s aforementioned ecosystem grew via an initiative called “LetsGrow”. This is designed to assist start-ups in the progression from the seed capital stage to series A/B funding. It does so by helping founders identify what information about their new business professional investors will be looking for in order to commit an aggregate of between US$1 million up to US$5 million in funding. Under the LetsGrow programme, start-ups in the growth stage are typically assisted either by various venture capital (VC) firms, family offices, ultra high-net-worth individuals or funds. Indian start-ups that have been supported by LetsVenture include young firms working in FinTech, healthcare or consumer products. The LetsVenture suite of services also offers a product called “Customer Connect”. This is where growth stage start-ups are put in touch with established corporate businesses that might need their services. Last year LetsVenture registered an angel Alternate Investment Fund (AIF) under the Securities and Exchange Board of India (SEBI) regulations. This allows LetsVenture to invest in start-ups by creating a pool of investments drawn from private actors, either from within India or from outside. With effect from October 2018, all investments on the LetsVenture funding platform have been routed through this angel AIF. “Basically what has happened in the introduction of an angel AIF” is that it has allowed “investors to invest through a SPV [special-purpose vehicle],” something not previously possible in India, said Ms Mohan. She explained that routing investments via an angel AIF also enabled start-up founders to manage more easily their interaction with respective investors. Previously, if there were, for example, 15 angel investors investing US$10,000 each at the seed stage, “the founder had to manage 15 investors,” noted Ms Mohan. “Now with the AIF, a founder could interact with investors via an “institutional entity”, she added. One important source for LetsVenture in terms of capital for growth-stage start-ups, is family offices. Such institutions have a strong presence in India, a country noted for businesses with hands-on founding families. LetsVenture says it identified two years ago the interest of India’s family offices in treating the start-up sector as capable of forming an asset class in its own right. Many family offices in India “looked into start-ups,” as a way of adding “strategic value” to the family office itself, Ms Mohan noted. “Family offices are not like funds where they have the exit timeline; [and] have to return the money in 10 years. They don’t have that, because it is their own money that they are investing with. So a lot of family offices are ‘patient capital’,” the LetsVenture founder stated. In February 2018, LetsVenture launched “LV Titans”, a platform to enable family office investors to effect “easy discovery” of start-ups that might fit their investment criteria. Now, LV Titans has about 120 family offices on the platform, most of them from India. LetsVenture also sees opportunities via family offices outside India. Asked by Innovation Hong Kong whether LetsVenture would look at China as a new potential source for family office investors, Ms Mohan was upbeat. LetsVenture is also looking to expand the presence of its suite of services beyond the Indian market. “We’re looking into Southeast Asia and the Middle East currently,” said Ms Mohan, referring to the possibility specifically of LetsVenture representative offices being set up overseas.